It is with much pleasure that the Joint SPRC announces that we are blessed to welcome our new pastor! Effective September 1, Pastor Wiley Gladney, wife Heather and sons Liam and Ronan ages 5 and 2, will be joining us from his previous congregation in Oshkosh. Pastor Wiley shares that he grew up in a little community called Between, Georgia. Yes, that is its real name since it is 30 miles east of Atlanta and 30 miles west of the home of the University of Georgia, Athens. Pastor Wiley graduated from the University of Georgia, Abraham Baldwin Agricultural College, Garrett-Evangelical Seminary and Duke Divinity School. Prior to his ministry career, he worked for the Georgia DNR as a skilled tradesman doing construction on state parks. He has been in full time ministry since 2010 when he and Heather moved to Wisconsin. Heather’s father was in the Navy so her family moved around a lot when she was young. She was born in Sacramento, California, moved to Virginia, then Memphis, Tennessee, then Oak Harbor Washington, and back to Memphis. She claims Atoka, which is 30 miles north of Memphis, as her hometown. She is a graduate of Harding University with a Fine Arts degree. Pastor Wiley declares Heather is a “wonderful painter” and she also works for Lifetouch photography in their church directories division. 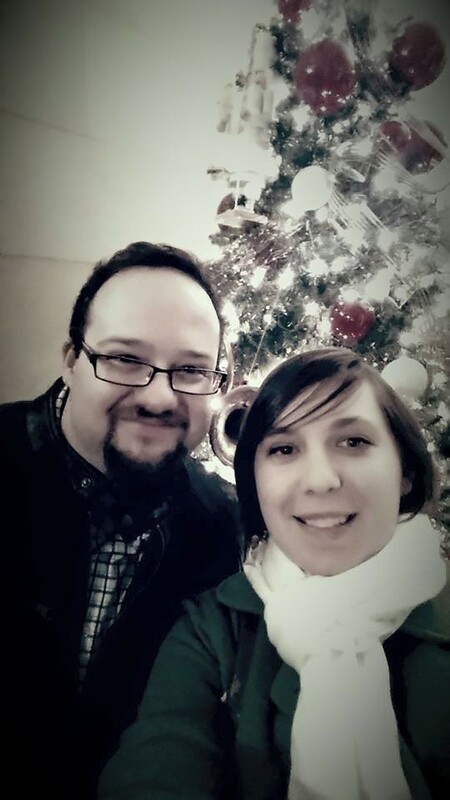 Pastor Wiley and Heather met while they were both working at a summer camp in East Troy, Wisconsin. We are so pleased and blessed that they will be joining us. Please mark your calendars for September 18th, dust off your Hawaiian gear and join us for the Aloha party to give everyone a chance to say hello to our new pastor with a warm Richland Center welcome!